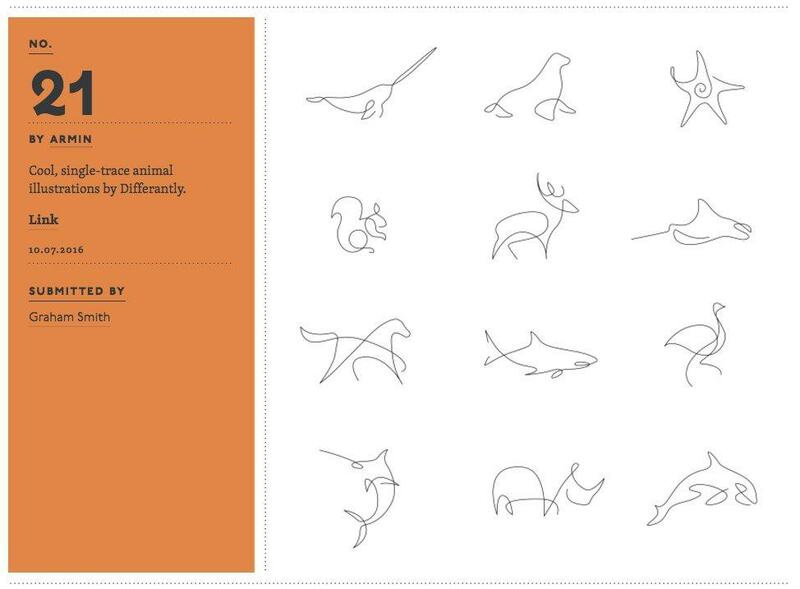 This form of monoline drawing is superbly expressed in a recent series of One Line Animal Logos, by Differantly, that superbly capture the profile shape of various animals, such as a: Kangaroo, Squirrel, Cheetah (my favourite), Rhinoceros etc. Differantly is a mixed-media creative duo, based in Paris and Berlin, and they explore concepts of continuity through one line minimalist artwork. Although they might look simple to draw for a casual observer, I’ve actually tried drawing like this and it’s bloody hard, they are far from being easy, at least in a way that realistically captures the true essence and form of the animal in question. Remember: it’s just one continuous single line, without the pen losing contact with the paper, that has to create all the various key features of each animal. We are Emma & Stephane. Two French artists. And we don’t smoke. Differantly (just DFT for friends) is a mixed-media creative duo currently based in Paris and Berlin. Specialized in visual and graphic arts, we explore the concept of continuity through our one line minimalist artwork. For daily updates, work in progress and stalking opportunities, follow us along on our brand new Instagram.